The Trump Administration is thinking of giving a pass to luxury automakers whose cars fall short of U.S. fuel economy standards. Brands like Jaguar, BMW, and Porsche would be the beneficiaries. The luxury marques have paid the biggest fines in the past, largely because their cars tend to be gas-guzzlers and they don't make super-efficient compacts -- which would help keep their average down -- or light trucks, which are largely exempt from the regulations. The fines that have been levied in the past are scheduled to more than double in the 2019 model year, but a statement from the National Highway Traffic Safety Administration (NHTSA) on Friday said the agency may give the carmakers a break, Bloomberg reported. "Seeking comment on the inflationary adjustment will allow stakeholders to provide input and provide NHTSA additional information to inform the agency's decision regarding how the CAFE civil penalty should be adjusted for inflation," NHTSA said in a statement. "Good news for the auto industry"
Since the mid-1970s, automakers have been fined $55 for each mile-per-gallon shortfall, multiplied by the number of vehicles sold in that model year. 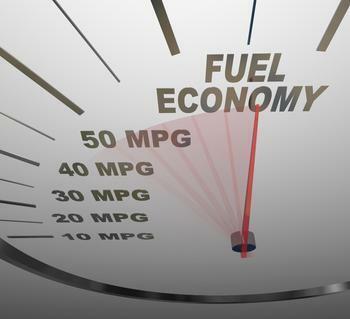 Congress in 2015 instructed all federal agencies to update their civil penalty formulas to reflect inflation, and NHTSA proposed to increase the fine to $140 per mpg shortfall, per vehicle sold. Automakers have paid nearly $900 million since 1975, when the fuel economy program went into effect. The Alliance of Automobile Manufacturers praised the NHTSA announcement as "good news for the auto industry and consumers." The automakers' pleas have fallen on deaf ears in the past, but the Trump White House has been busily slashing regulations and the auto industry appears to be next in line. The Trump Administration is also giving automakers extra time to dispute EPA standards for curbing greenhouse gas emissions.